Solutions Office Suites is a division of Harrod Properties, Inc. Founded in 1990 by Gary W. Harrod, Harrod Properties, Inc. is a commercial real estate company that designs, builds, leases and manages office and industrial buildings. Located throughout the Tampa Bay area, Harrod Properties, Inc. has been involved with over 15 million square feet of office and industrial space. 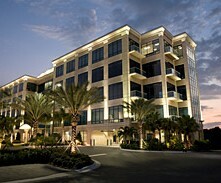 Harrod Properties is known for its high-quality, institutional-grade buildings. Harrod Properties, Inc. prides itself on creating lasting relationships with tenants, investors and lenders. Visit harrodproperties.com to learn more.